Elena Pischikova – South Asasif Conservation Project 2006–2016: Past, Present and Future. Ahmed Ali Hussein, Afaf Fathalla, Abdelrazik Mohammed Ali, and MoA Conservation Team – Conservation and Reconstruction of the Tombs of the South Asasif Necropolis. Erhart Graefe – Work in Progress: The Reconstruction of the Text of the Ritual of the Hours of Day in the First Hypostyle Hall of TT 223. Kenneth Griffin – The Ritual of the Hours of the Night in the Tomb of Karakhamun. Miguel Ángel Molinero-Polo & Andrea Rodríguez Valls – Write like an Egyptian! Palaeographical Peculiarities in the Burial Chamber of Karakhamun. Erhart Graefe – A New High Steward of the God’s Votaress Nitokris: Padibastet, Grandson of Pabasa and Successor of Padihorresnet. Dieter Eigner – Some Remarks on the Architecture of the Lichthof in TT 223, Karakhamun. 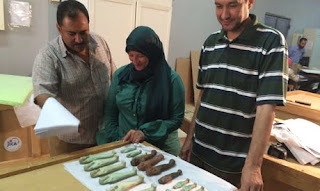 Julia Budka – Kushite Pottery in Egypt: An Update from Thebes and Abydos. Matthias Müller – Village or Monastery? : Preliminary Results of the Work on the Coptic Texts Found by the South Asasif Conservation Project. 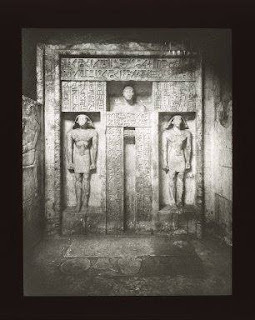 Dietrich Wildung – “African” Aspects of Egyptian Art, from Prehistory to the Late Period. Sylvia Schoske – Stylistic Aspects of Twenty-fifth Dynasty Sculpture and Relief, with Particular Reference to the Background of the Artists: Egyptian or Kushite. 06:00: Site visit – Morning visit to the South Asasif Necropolis. 13:30 – Welcome Address by Dr. Mohamed Abd el-Maksoud. Mohamed Abd el-Maksoud – Tell Heboua Tjarw: The Eastern Gate of Egypt. Penelope Wilson – Sais and Thebes: A View from the North. Ramadan B. Hussein – The Saqqara Saite Tombs Project. Angelika Lohwasser, Meike Becker & Anke Blöbaum – Relationship between Religion and Politics in the First Millennium BC Thebes (with a case study on the original location of the Triumphal Stela of king Piye). Cynthia May Sheikholeslami – Montu Priests in Third Intermediate Period Thebes. Karl Jansen-Winkeln – The Title smA(tj) WAst and the Prophets of Montu at Thebes. Andreas Effland – “... a work of the ancestors ...”: Amenirdis I and the Kushite Excavations at Umm el-Qaab (Abydos). 09:00 – Welcome Address by Dr. Mamdouh Eldamaty and Dr. Mohamed Abd el-Aziz. Miguel Ángel Molinero-Polo – TT 209. Different Proprietor and Chronology, New Architectural Elements. Andrzej Ćwiek & Marta Kaczanowicz – Late Period Burials at the Rear of the South Asasif Necropolis. Claude Traunecker – Osirian Pilgrimages and Theban Liturgies in the Funerary Palace of the “Saint of Thebes” Padiamenope (TT 33). Silvia Einaudi – Aspects of Tradition and Innovation in the Decorative Program of the Tomb of Padiamenope (TT 33). Isabelle Régen – The Book of Nut in the Late Period Tombs of the Asasif Necropolis. Meg Gundlach – Artisanship and Typology in Late Period Theban Stone Shabtis: A Case Study of the Chief Lector Priest Pedamenope. Mariam Ayad – The Opening of the Mouth Ritual in the Tomb of Harwa (TT 37): Selection, Layout, and Sequence. 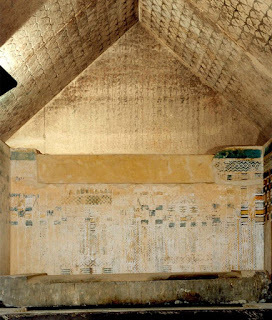 Louise Gestermann & Farouk Gomaà – Remarks on the Decoration and Conception of the Theban tomb of Montuemhat (TT 34). Mamdouh Eldamaty – The Equality and Presence of Nitocris and Psamtik I in the Tomb of Pabasa (TT 279). Julia Budka – The Tomb of Ankh-Hor (TT 414): An Update of its Use-life. Gabor Schreiber – The Kushite/Saite Phase of TT -400-. Shaaban Abd el-Gawad – The Crown of Justification until the End of Graeco-Roman Period. Eltayeb Abbas – Reading Ritual Images on the Twenty-first Dynasty Coffins. 06:00: Site visit – Visit to the North Asasif Necropolis. Jérémy Hourdin – The Kushite Kiosks of Karnak and Luxor: A Cross-over Study. Laurent Coulon, Aleksandra Hallmann & Frédéric Payraudeau – The Osirian Chapels at Karnak: Recent Epigraphic Work and Historical and Art Historical Studies. Essam Nagy – The Kushites in Karnak: The Chapel of Osiris Ptah Neb ankh. Catherine Defernez – A Few Testimonies of the Persian Period in Karnak: New Evidence from the Material of a Large Mudbrick Building. 17:00 – Closing remarks for the conference. Presidential aide for national and strategic projects Ibrahim Mahlab inaugurated on Friday 27/05/2016 the first phase of the Shifaa-Orman Cancer Hospital Project in Luxor. The inauguration of the first phase that costed 200 million pounds was also attended by Mufti of Egypt Shawky Allam and the ministers of social solidarity, youths, international cooperation, expatriates affairs and tourism and the governors of Assuit, Sohag and Beni Suef. They also laid down the foundation stone of the second phase of the project. The second phase include the establishment of a surgery department, research center and guest house. (ANSAmed) - CAIRO, MAY 26 - The iron in the blade of one of the knives found with the mummy of Tutankhamun comes from one of the many meteorites that fell on the Egyptian desert and are still easy to find today. The life of Tutankhamun continues to surprise and fascinate Egyptologists. The report will be published over the coming days by a specialized magazine to wrap up the workcarried out by a group of international researchers (from the Polytechnics of Milan and Turin, the University of Pisa, the Egyptian Museum in Cair, the CNR, the university Fayoum, the XGlab company). 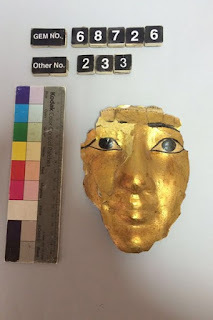 Ever since his tomb was discovered in 1922 by the Britons Howard Carter and Lord Carnarvon, a debate ensued over which type of material was used for one of the two knives on his body. Experts had clashed on the issue. Today, the certainty that the blade on display at the Egyptian Museum in Cairo is meteoritic comes from techniques using fluorescence and X rays, which confirms the composition of that iron in different percentages of nickel and cobalt. Also stressed by scientists was the high quality of the blade's manufacture, confirming the high level reached in the age of Tutankhamun in working iron. (ANSAmed). 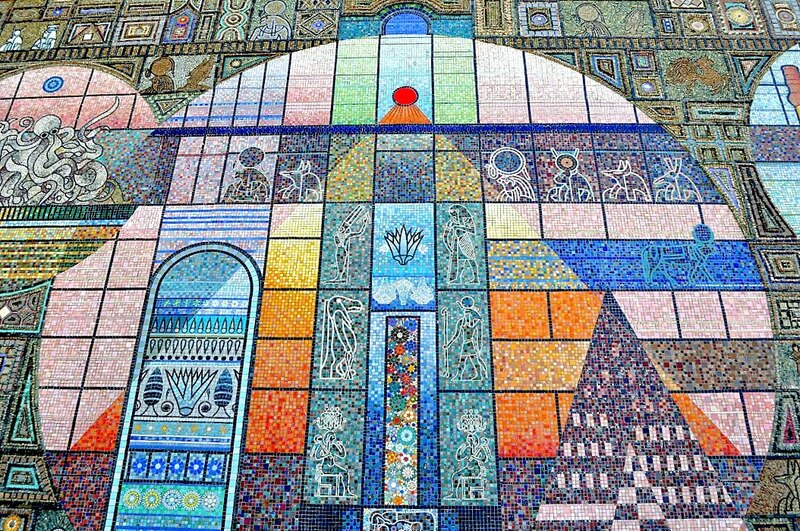 An interesting tile mosaic along the Alexandria Harbour waterfront. See if you can spot the hippopotamus! 'Taweret' is the ancient Egyptian Goddess of childbirth and fertility. Hint, she can be seen standing upright in the central group of 6 figures. This intriguing artwork looks a little like an old tv test pattern but looking closer you can spot pyramids, Ra, Anubis and many other facets of ancient Egypt. (99) Ministry of Antiquities: Three tombs. 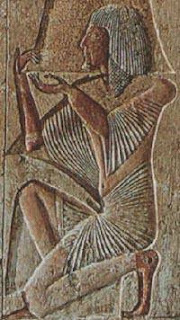 Nefer-Seshem-Ptah was the overseer of the great court. His tomb is relatively small but still keeps its beautiful scenes that represent everyday life. The false door of the tomb is distinguished and unique it has never been shown before in any of the Memphis tombs. The tomb was discovered in 1996 by the French expedition lead by A. Zivie (cliffs underneath the Bubasteion in Saqara). Conservation works lasted since its discovery to 2003. 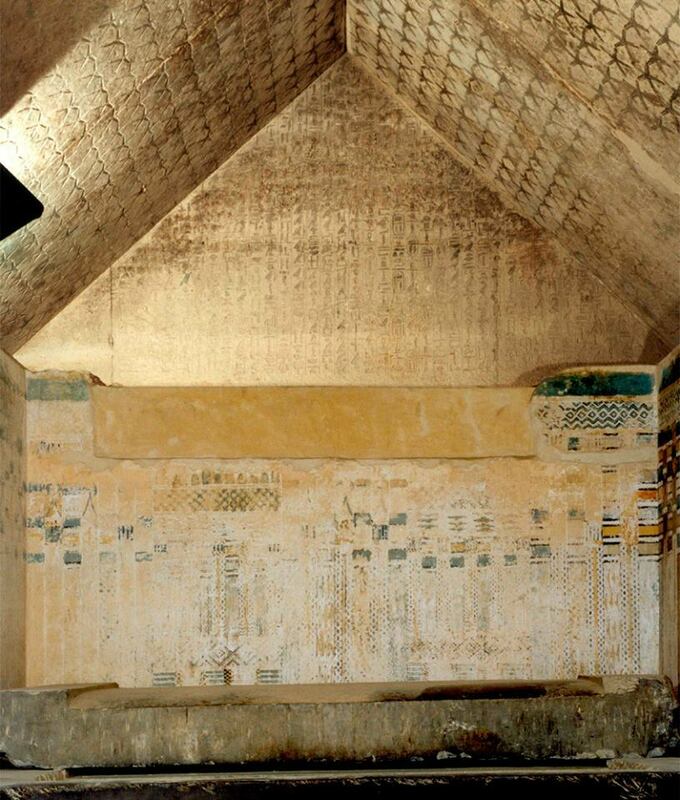 The tomb dates back to the reign of king "Ramses II" from the 19th Dynasty (New Kingdom). Its owner served under Ramses the Great as a peace envoy between the Egyptian Empire and the Hittites. This is the first official opening of the tomb since the completion of the restoration and excavation works that included the consolidation of the mural inscriptions, color fixing and erecting a shelter over the front courtyard to protect the tomb and the inscriptions, as well as installing a new lighting system. The tomb consists of a limestone front courtyard with two pillars holding inscriptions of the tomb owner in a worshiping position. The western wall has colorful scenes typical of the Ramesside art representing everyday life and religious rituals. 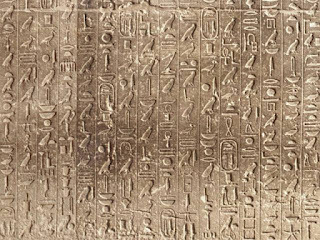 Many cartouches bearing the name of "Ramses II" also exist. The courtyard leads to a rock cut room and contains a rock statue of "Hathor" representing it sorting from the mountain, under its head is a royal statue of Ramses II. Ankh Mahor was the "Ka-Priest" during the reign of king Teti of the 6th Dynasty. His tomb is often called "the Physician's Tomb" because of the medical scenes in its doorway. The tomb is big and contains a number of rooms and decorated doorways. 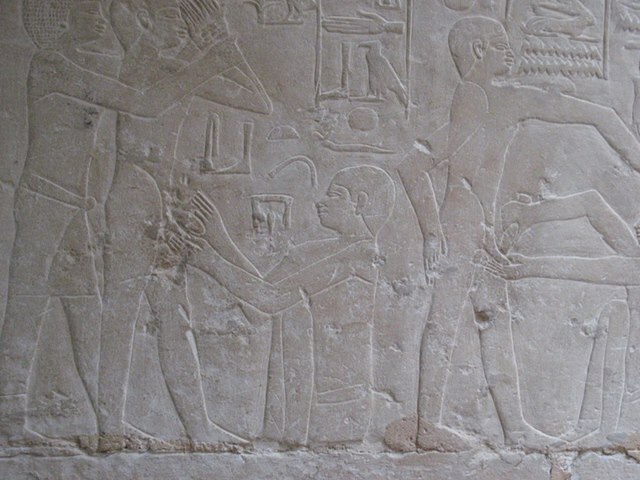 It contains the most important Old Kingdom scenes like the famous circumcision scene in the doorway as well as scenes involving agriculture, offerings and fording. 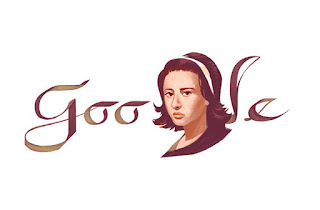 Faten Hamama, one of Egypt’s best-known actresses, was featured in a Google Doodle on Friday, the date that would have marked her 85th birthday. Hamama was dubbed "the lady of the Arabic screen" for her prominent roles in Egyptian cinema in the 1950s, 1960s and 1970s. She died in 2015 at the age of 83. Born in the Delta city of Mansoura in 1931, Hamama made her film debut when she was seven years old, featuring in Youm Saeed (Happy Day) in 1939 alongside legendary singer and composer Mohamed Abdel Wehab. She went on to star in over two dozen films, including an American production in 1963 called Cairo. She was chosen as the "Star of the Century" at the 2001 Alexandria International Festival, honouring her lifetime of achievement in Egyptian cinema. Hamama married Egyptian film star Omar Sharif in 1955. They co-starred in several movies together and became one of Egypt's most famous celebrity couples, before divorcing in the mid-1970s. Omar Sharif passed away shortly after Hamama, on 10 July 2015. 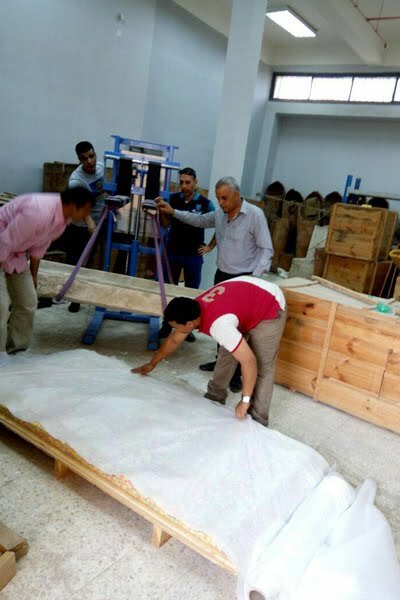 Curators from the Grand Egyptian Museum on Friday restored and packaged artefacts at San Al-Haggar museum in the Tel Basta archaeological site in the Delta in order to transport them to the as-yet-unopened museum in Cairo. 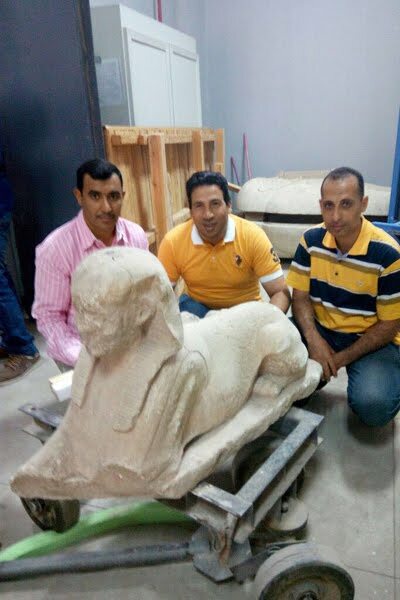 Eissa Zidan, head of the restoration department at the new museum, told Ahram Online that the artefacts include objects from different eras of ancient Egyptian history. Among the most important are a limestone relief depicting a supervisor of royal war chariots named Hasnefermerptah and his wife, as well as a collection of late period sphinxes, the sarcophagus of a priest of Sobek and limestone statues from the Middle Kingdom. A number of Graeco-Roman limestone heads area also among the batch, as well as pieces of mummy masks made from cartonnage. The objects were packed in order to be transported to the new museum early next week, where they will be subjected to restoration and added to the permanent displays. This catalog features rare, antique and decorative books as well as select additions of ephemera and artwork. We will offer another session from the holdings of Archaeologia Books and Prints and will continue with multiple sessions from this fine inventory over the coming months. The ephemera lots are led by an array of antique magazines including bound compilations. Antique and rare books in this catalog feature numerous titles. Among the earliest examples are the 1847 printing of "Narrative of the Life of Frederick Douglass, an American Slave," numerous volumes from the exhaustive work, "Reports of Explorations and Surveys to Ascertain the Most Practicable and Economical Route for a Railroad From the Mississippi River to the Pacific Ocean," produced during the years 1855 to 1860, and "A Declaration of the Lords and Commons of the Parliament of England," printed in 1642. Other scarce titles include an author-signed copy of the 1953 first American edition of Wernher Von Braun's "The Mars Project," Goursat's "Sem Renault Caricature Book," and an author-inscribed 1845 first edition of Sumner's "The True Grandeur of Nations." Several pleasing collections will also be showcased. Highlighted is this next session from the holdings of Archaeologia which is led by specimens such as the 1851 first edition of Penrose's "Investigation of the Principles of Athenian Architecture," with an autographed letter laid-in, Hassan and Boghdady's "Excavations at Giza," produced in 1932, and the first edition of Blegen, Rawson and Lang's "The Palace of Nestor at Pylos in Western Messenia," produced in four volumes over the years 1966 to 1973. Additional lots include scarce titles from categories such as slavery debate, Egyptology, archaeology, anthropology, ethnology, decorative antique bindings, children's, books-on-books, printing history and much more. Found throughout this catalog are interesting offerings of art and ephemera. A fine selection of antique maps and atlases will be offered including several examples produced during the Civil War and large wall maps. 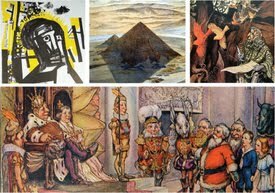 Antique ephemera lots include travel-related, original correspondence, early American newspapers, magazines, engravings, lithographs, Victorian chromolithographs, photographs, stereoviews, and other genres. 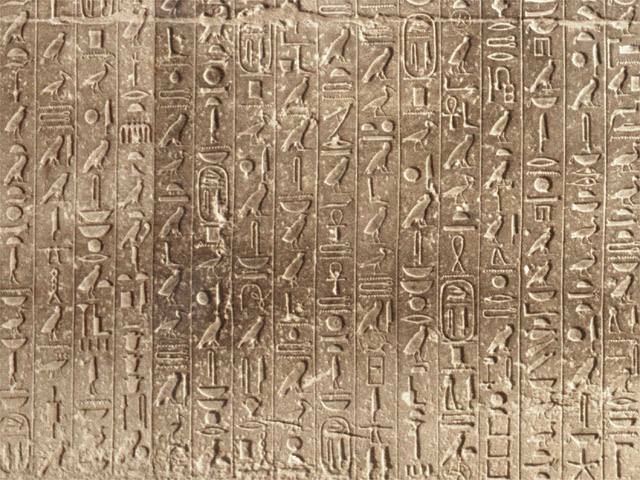 Pharaoh Unas was the first Pharaoh to include 'Pyramid Texts', which had great significance for Ancient Egyptian beliefs of resurrection. 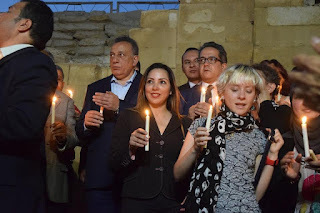 The inauguration on Thursday evening saw the attendance of Egypt's Minister of Antiquities Khaled El-Enany and a number of archaeologists. The opening ceremony also attracted a number of foreign Egyptologists and saw the holding of a candlelight vigil at the Pyramid. Egypt's Minister of Antiquities announced that the Ministry would open more ancient Egyptian sites to attract tourists to Egypt. Egypt's tourism revenues declined by 66 percent in the first quarter of 2016 compared to last year, with total earnings amounting to just USD 500 million, down from last year's USD 1.5 billion. Around four million Egyptians work in the tourism sector, which accounts for 12.6 percent of the country's total employment and about 12 percent of the economy. Department of Mediterranean Studies (Hellas). List of corrections for date or provenience for some objects in a catalog of material from Medinet Habu, drawn from reviews of the book. 2015. "Experimental Archaeology: From Meadow to Em-baa-lming Table." In C. Graves-Brown (ed.) Egyptology in the Present: Experiential and Experimental Methods in Archaeology. Swansea: The Classical Press of Wales, 53-74. D. Sweeney, "Women at Worship on Deir el-Medîna Stelae," in: J. Toivari-Viitala, T. Vartiainen, S. Uvanto (eds. ), Deir el-Medina Studies. Helsinki June 24–26, Proceedings, Helsinki, 2014, 181-193. Contextualising the Tale of the Herdsman. In: Egyptian Stories. 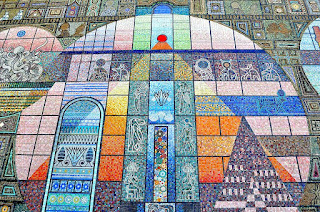 A British Egyptological Tribute in Honour of Alan B. Lloyd on the Occasion of His Retirement (AOAT 347), Münster 2007, 187-196. Staring, N.T.B. 2015. 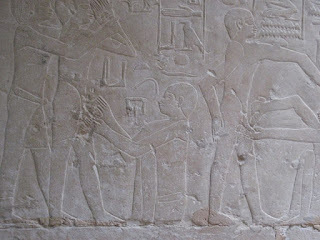 Studies in the Saqqara New Kingdom Necropolis. From the Mid-19th Century Exploration of the Site to New Insights into the Life and Death of Memphite Officials, Their Tombs and the Use of Sacred Space. PhD thesis, Macquarie University. Sydney. A Spanish team is currently applying the latest digital recording techniques to a study of the scenes and inscriptions of the Nubian temple from Debod, now in Madrid, as Lucía E. Díaz-Iglesias Llanos and Daniel M. Méndez Rodríguez describe. The work of the Polish-Egyptian Archaeological Mission at Saqqara revealed a cemetery of palace officials that was in use during the late Old Kingdom. The evidence found during the exploration of the tombs indicates that the tomb builders were aware of the problems resulting from torrential rains in last years of functioning of the cemetery and that architectural solutions have been invented against these problems. The discussed phenomena seem to be directly re- lated to the 4.2 ka event. Sobek invades the New World. What is new to see in Luxor?